Just picked up a 2002 R1150R with under 7000 miles on it. Single owner in great condition. A step up from my Shadow 600. I'm in Alaska so this style of bike and it's touring capabilites are perfect up here. I'll be going above the arctic circle on the Dalton Highway this summer with a few friends. Plans are in the works! Anyway, glad I found this site dedicated to these bikes. Already hit a couple of threads for questions I had. Look forward to seeing you all on the boards. Congrats on your new 1150R. A good choice for Alaska. I lived up there for many years in Fairbanks and ride a R1200R. 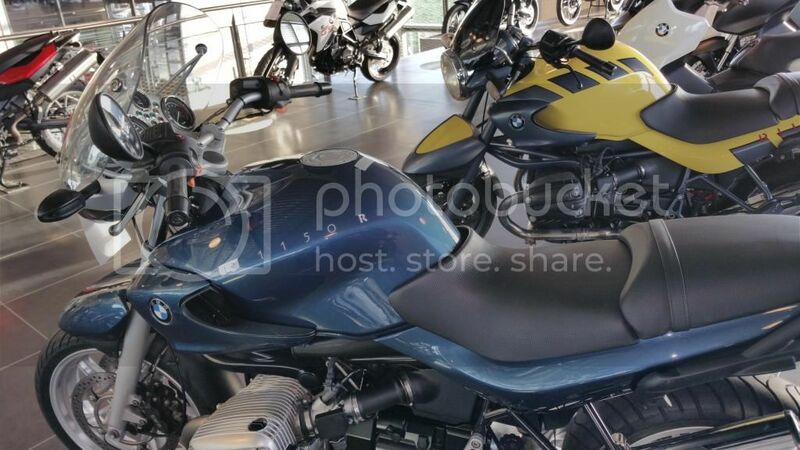 Your post is in the R1200R area of the forum and there is a section devoted to the 1150R. 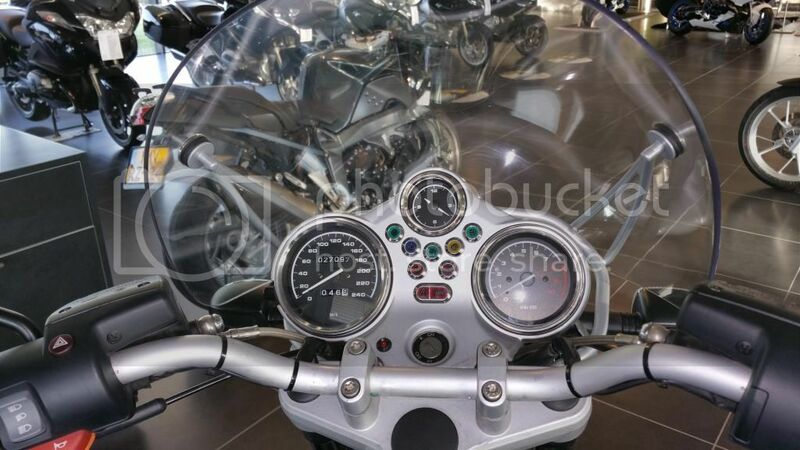 You'll find more pertinent info about your bike over there; but, don't forget us completely.... we are much smarter and better looking over in this area. I'm new here and would like to say hi. 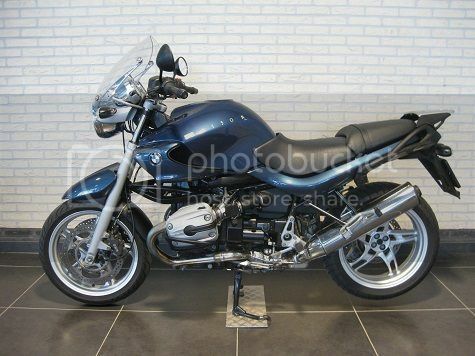 Bike: R1150R (2005) + R1200GS LC (2013). It comes with warrantly, so if anything will show up there will be some time to get it fixed. Only thing left is to have my Nav IV fitted, so if you have any advise on the placement, I will gladly take it. Looks like a nice find! Welcome to the site! Hi there guys, My name is Sohail. Am based in Scotland. I am a newcomer to this forum. I have in the last couple of days bought a very nice low milage1150r. Cant wait it for it to be delivered. It would be nice to get some advice on some things about the bike. Maintenance an etc. Hi Sohail, you've come to the right place! If you search on whatever ails you, you'll find a solution or two here. Hi everyone, recently purchased a 04 Rockster, loving it so far! This forum looks great, I have already been taping in the endless source of advice a few times! When can you post? Already posted pictures but they never showed up in the thread. RnineT60 wrote: When can you post? Already posted pictures but they never showed up in the thread. There is a post approval feature of this board the first couple times you post. After that they will show up immediately. Its our way of alleviating spam so you don't have to see it! We work tirelessly behind the scenes, haha. Doe,s anyone know how I can change my user name (its a bit naf) on this for forum. I have gone to my profile as they tell you to but it wont let you change it. Hawkeye wrote: Doe,s anyone know how I can change my user name (its a bit naf) on this for forum. Oh great! Now nobody knows who you are. I think you can't change your username here, isn't it? Is there any way one could save this entire board to a portable flash drive or something?